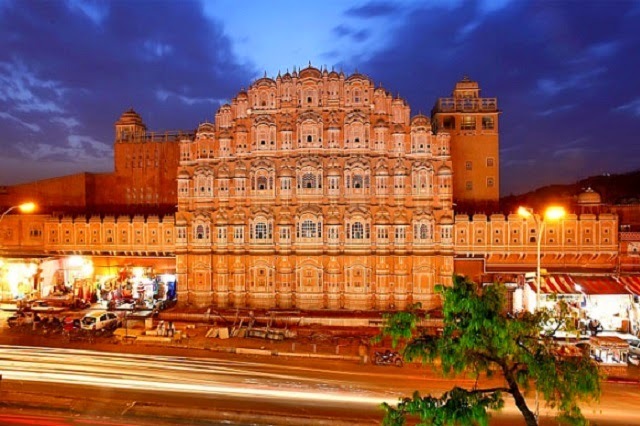 Fondly referred to as the ‘Pink City’, Jaipur is one of such destinations of India that allures foreign as well as national tourists in crazy numbers every year. The striking remains of the long-gone era in the form of forts and palaces and more are spread all around the landscape of the city and are the most popular tourist attractions. A visit to Jaipur surely offers a sneak-peek into the royal heritage of the state. The capital of the desert state of Rajasthan, Jaipur also boasts of being the largest city as well. 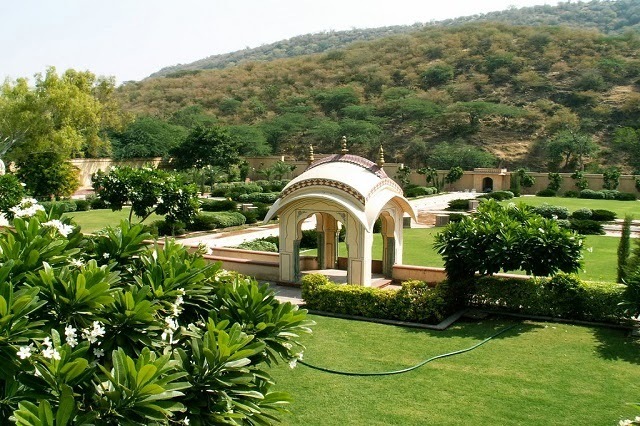 Jaipur along with Agra and Delhi forms the very popular and one of the most sought-after tours of the northern region of the country, Golden Triangle Tour. Once the seat of the royalty of Jaipur, the City Palace complex was erected between 1729 and 1732. An amalgamation of Shilpa Shastra of India along with Mughal and European styles of architecture, this complex houses a number of structures such as Mubarak Mahal, Chandra Mahal, Pitam Niwas Chowk, Diwan-I-Khas, Diwan-I-Aam, Maharani Palace and Govind Dev Ji temple. The complex has a total of 3 entry gates. Even today the royal family of Jaipur lives in the Chandra Mahal. A part of this building has been converted into a museum and an art gallery consisting of works and displays of old weapons, royal costumers, utensils and more. Also called the Government Central Museum, Albert Hall Museum is an extremely popular museum that is replica of the Victoria and Albert Museum in London. Boasting of being the oldest museum of the city, it was constructed to commemorate the visit of the Prince of Wales, Albert Edward to Jaipur in the year 1876. This museum has an exhaustive collection of some amazing stuff including pottery, jewellery, arms, coins, textiles, garments, miniature paintings, musical instruments, wooden art, carpets, ivory, furniture, metal art, dolls, toys and more. The prime highlight of this museum placed amidst Ram Niwas Bagh is an Egyptian mummy that originally belongs to the Ptolemaic Epoch. 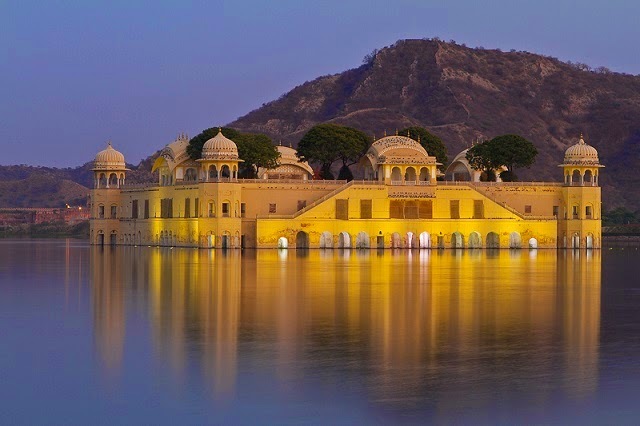 One of the most beautiful palaces in Jaipur, Jal Mahal lies in the center of ManSagar Lake. A combination of Rajput and Mughal architectural sensibilities, Jal Mahal is constructed in red sandstone. Though originally the structure is five-storied but four- storey gets submerged during monsoon and only the top storey is visible. The palace was built in 1799 by Sawai Pratap Singh but remained ignored later for around 200 years. Now after renovation and restoration by Maharaja Jai Singh II in the 18th Century, it is one of the must-visit attractions with its rooftop garden, painted and carved walls and more. 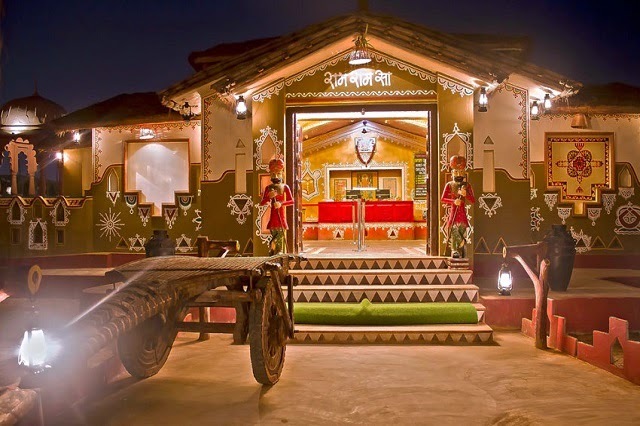 Spread in an area of around 10 acres of land, Chokhi Dhani Village Fair and Restaurant is a perfect place to experience Rajasthani culture and traditions. Awarded by Ministry of Tourism for Most Innovative Tourism Project, Chokhi Dhani in a way is a promotion and preservation of the heritage and hospitality of Rajastjan. The whole place has village-like ethnic feel to it and offers the visitors a chance to experience the same through various fun activities, games, folk music and dance like Ghoomer and Kalbeliya, shopping, authentic cuisine, camel ride and more. Enjoy a traditional welcome with Tikka. Relish sumptuous delicacies of Rajasthani cuisine, prepared in pure ghee by expert chefs and served in a traditional manner. One of the most distinctive landmarks of the city, Hawa Mahal or ‘Palace of the Winds’ is admired for its astonishing five-storyed honeycombed hive-shaped architecture. This building was constructed by Maharaja Sawai Pratap Singh in the year 1799. Built with pink and red sandstone, Hawa Mahal has 953 ‘Jharokhas’ or windows. It is said that the ruler built this structure with so many windows so that the royal ladies could easily view the daily activities going in the city and cool breeze could come- in during summers. It is believed that Lal Chand Ustad, the main architect, built this palace in the form of Lord Krishna’s crown. Overlooking the city, Nahargarh fort stands tall on the jagged Aravalli Hills and is known for offering some of the best sunset views. 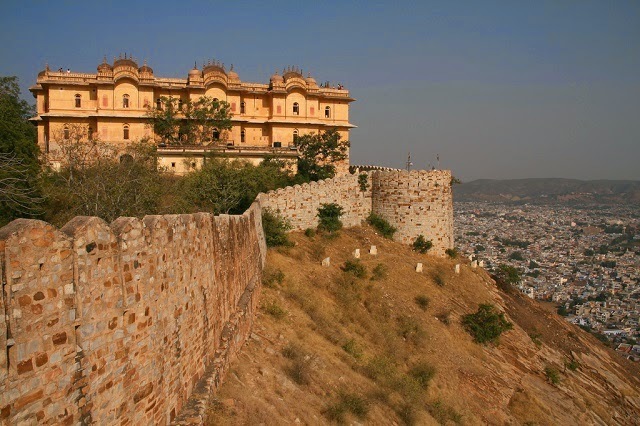 Also known as Tiger fort, it was constructed in 1734 by Maharaja Sawai Jai Singh II, the founder of Jaipur, in the form of a retreat place for the security of royal state of Amer. This structure shot to fame when some of the scenes of Bollywood movie Rang De Basanti were filmed here in the year 2006. A flawless mix of Indo-European architecture, the fort has a number of structures within its complex. It has been a witness of many important royal treaties and important historical events. Known as Amer Fort or Amber Fort, the daunting structure, overlooking the city, it was constructed way back in 1592 by Raja Man Singh. 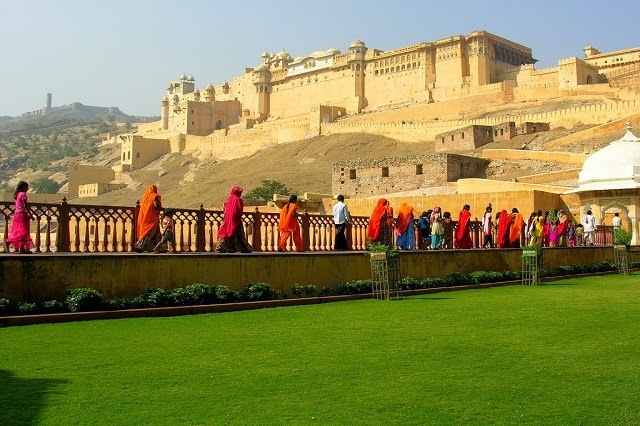 One of the oldest and most-famed forts of Rajasthan, Amer Fort is a splendid blend of Hindu-Muslim architectural sensibilities and is built in marble stone and red sandstone. With around having a total of 4 courtyards, the palace complex has one main entrance and along with three smaller ones. As the fort is built on a hill top, do not miss taking an elephant ride up till its entrance. Sheesh Mahal, Sila Devi temple, Ganesh Pol, Sukh Mahal, Diwan-i-Am are some of the structures within the fort complex. If you are in love with an elephant are not content just by an elephant safari or simply a ride on it then here is something pretty interesting for you. Elefantastic offers you a chance to get closer to them. Formed in 2012 by Rahul, a former elephant rider, Elefantastic has the aim of promoting the welfare and well-being of the elephants. At Elefantastic, one can not only ride but can feed, wash and play with the elephants. Learn the art of decorating them and get to know about different treatments as well as medicines of elephants. 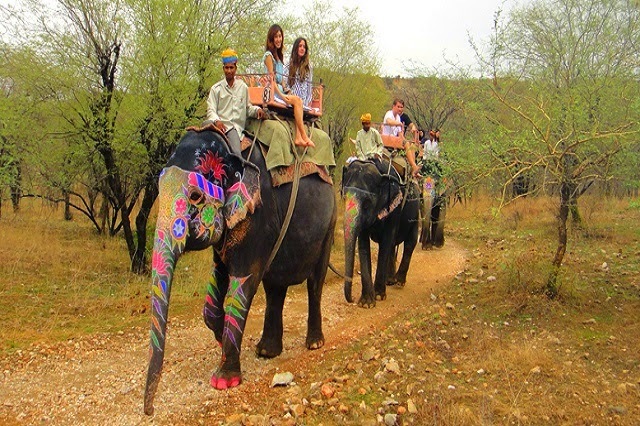 The safaris and rides offered take you to Jaipur and the surrounding area. Overlooking the Amber Fort, the enormous Jaigarh fort is placed on the promontory called Cheel ka Tila of the Aravalli ranges, around 400 m above the former one. Constructed in the year 1726, it boasts of being one of medieval India’s best preserved military constructions. The fort has been named after Jai Singh II who commenced its construction. 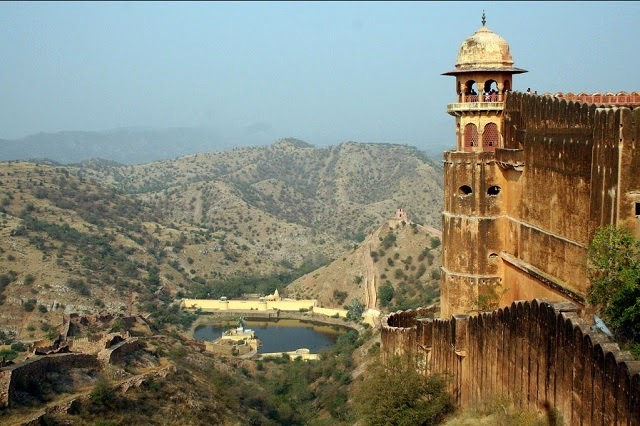 An unconquerable fort, it offers an amazing view of the surrounding plains if one climbs up the Diwa Burj, a watchtower. Connected to Amber For through passages, this fort complex houses a few structures such as Vilas Mandir, Aram Mandir, Lalit Mandir, Laxmi Vilas, a museum and an armory. If you visit Jaipur and you do not shop, you will be missing out on a lot of amazing stuff. The vibrant markets of Jaipur are stuffed with and sell stunning handicrafts, block printed fabrics, carpets, semi-precious and precious gemstone, silver and imitation jewelry, clothes, Mojaris, bangles, blue pottery, camel leather items and other souvenirs. A shopper’s paradise, Jaipur is not only famed for its architectural wonders but also for its bejeweled markets. 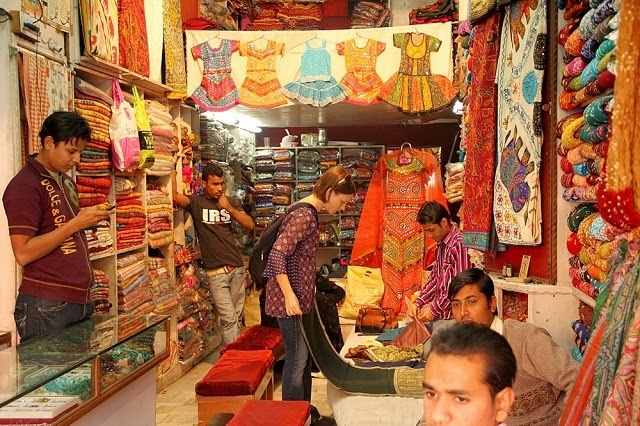 Frequent visitors make shopping one of the top agendas during their tour to Jaipur. Built in the year 1728 by Maharaja Sawai Jai Singh for his beloved second wife who belonged to the Sisodia clan, Sisodia Rani Palace and Garden is one of the most popular attractions of the city. 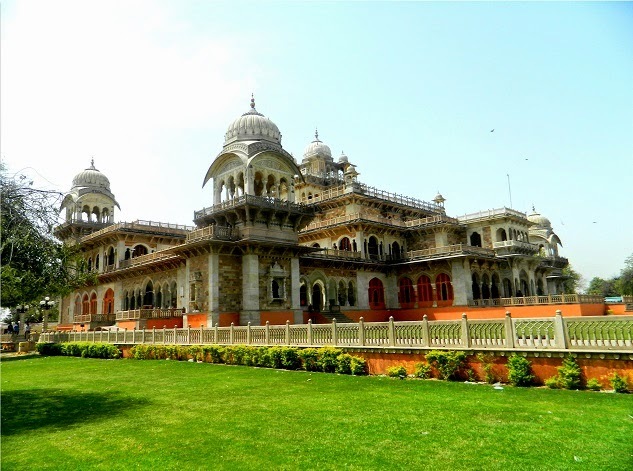 Along with the stunning palace, the royal garden is equally eye-catching with paintings on walls depicting the love story of Lord Krishna and his beloved Radha. The palace has multi-tiered well-maintained gardens with painted pavilions, water channels, flowerbeds, murals, galleries and fountains. With the backdrop of desert soil, the lush garden looks all the more appealing. The structure is made in Charbagh style and has a complete Mughal-feel to it. Dedicated to Lord Vishnu and his consort Goddess Laxmi, Birla Temple is an architectural marvel constructed in pure white marble, famed for its delicate carvings. 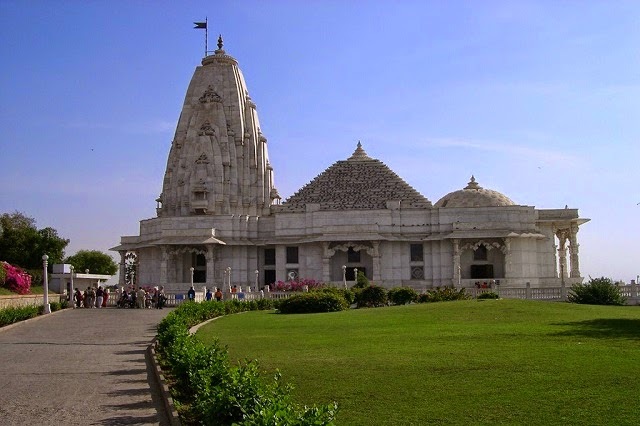 Also known as Laxmi Narayan Temple, it was built by B M Birla Foundation in the year 1988. Sculptures and paintings of different mythological themes and religions adorn the outside walls of the temple and are quite popular and eye-catching. Placed at the foot of Moti Dungri Fort, it stands right in the middle of lush well-maintained garden. Along with extremely attractive Lord Vishnu and Goddess Laxmi idols, the temple has a stunning idol of Lord Ganesha right at its entrance. 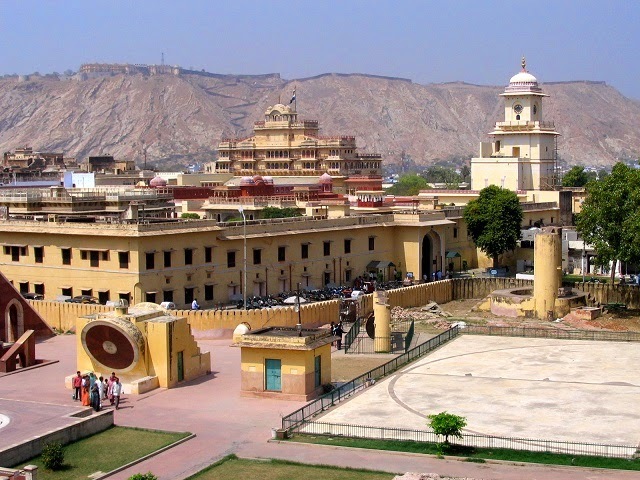 Now that you have gone through the list of popular Jaipur attractions, do not miss visiting them during your Jaipur tour.